Roy Fredrick Bargy (July 31, 1894 – January 16, 1974) was an American composer and pianist. 1894 but grew up in Toledo, Ohio. When he was five years old, he started taking piano lessons which lasted until he was 17. Aspiring to the concert stage, he soon realized that unless he could study in Europe he wouldn't be able to break into the tight classical music world in America. The musical establishment until after the Second World War didn't permit American artists access to the concert halls and operatic stages unless they had extensive training abroad. Rebuffed from his chosen career, Roy hung around the District in Toledo listening to such black pianists as Johnny Walters and Luckey Roberts. Like many another teenage prodigy, he soon got jobs playing piano and organ after school at the local movie houses. For school dances he organized his own orchestra. Roy's 1917 draft card shows him listed as a musician playing for a Toledo country club. He ended up being enlisted for five months of 1918, serving in the Army in Central Officer's Training School in Georgia, and was honorably discharged at the end of November. 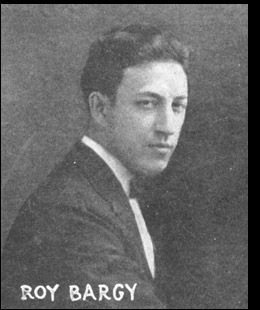 In a Music Trade Review article of September 13, 1919, it was noted that: "Mr. Bargy was in an officers' training camp when the Germans resigned, and while in the service was a great organizer of bands and orchestras among the soldiers. He has played in many parts of the country and wherever he has appeared his true musicianship has been appreciated." Bargy's first professional break came in 1919 when he auditioned for manager Charley Straight at the Imperial Player Rolls company. He began by recording his own piano novelties and arranging popular songs. He was chosen by Imperial to challenge QRS's new star of novelty piano, Zez Confrey, who had a similar background in the classics and who a year earlier began to create syncopated novelties. While Roy was hired to compete with Confrey, he was in no way imitating him, and although his compositions didn't meet the fantastic popularity Confrey's did, they were equal in inventiveness. 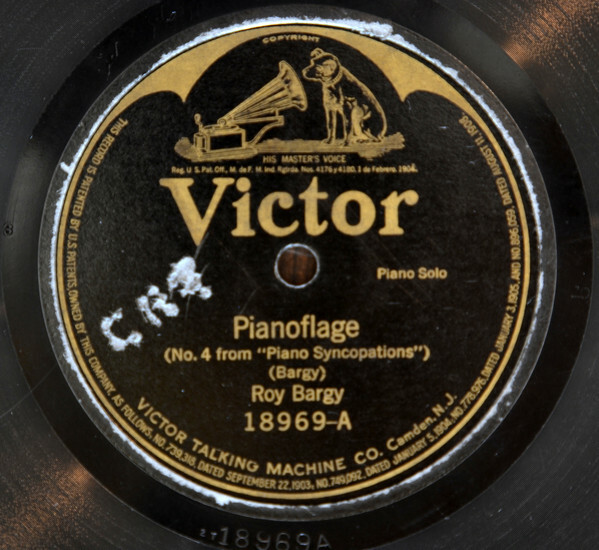 In 1920, while working for Imperial, Straight introduced Roy to Edgar Benson, a booking agent who had formed a band to record for the Victor Talking Machine Company. 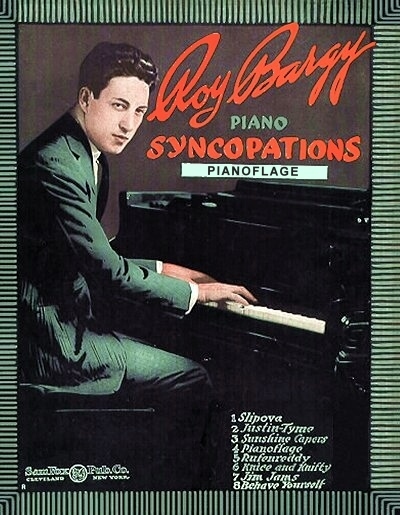 Benson was impressed with Roy's musicianship and hired him as pianist, arranger and musical director of the dance orchestra. Roy recorded six piano solos (mostly in the novelty ragtime style) of interest during 1922-24 that, along with his 11 piano rolls, were reissued on a Folkways LP. His best-known composition is "Pianoflage." The Victor recordings established Bargy as a triple-threat talent and provided him with the means to secure his services in similar capacities for such distinguished dance bands as those led by composer-saxophonist Isham Jones. Roy then began a twelve-year association with the greatest dance orchestra, Paul Whiteman's, in 1928 where his "legitimate" technique allowed him to play both credible jazz and classical solos such as "Rhapsody In Blue. 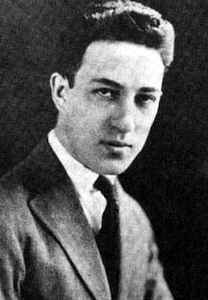 "In 1928 he was the first pianist to record George Gershwin's Piano Concerto in F (in an arrangement by Ferde Grofé). Bargy eventually became second in command within the band and continued to work with Whiteman until 1940. 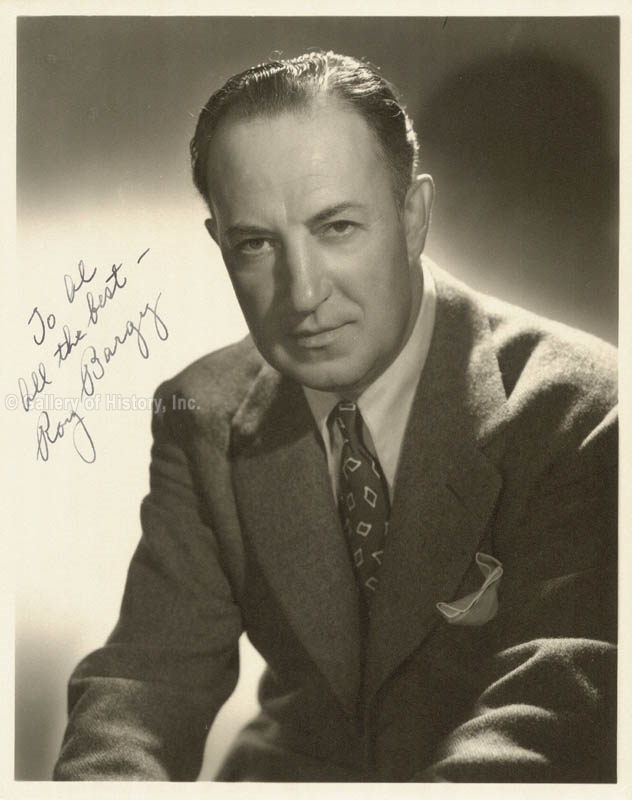 In 1940 Bargy was very active in radio as a conductor. He led bands for the studio orchestras of Lanny Ross, Xavier Cugat and Gerry Moore.In 1943 he became Jimmy Durante's musical director.. He is known for his work on All Star Revue (1950), The Jimmy Durante Show (1954) and The Colgate Comedy Hour (1950). There was a brief reunion of Roy with Paul Whiteman in 1953 when the two played along with others in a travelling revue. An ad for them in Reno in July, 1953, shows the "King of Jazz" on the same bill as the "Piano Extraordinary" of Bargy along with some teen-aged musical acts from Whiteman's television show. Unfortunately, performing became more difficult for Roy in the mid-to-late-1950s due to the onset of arthritis, so appearances by Bargy with Whiteman or Durante diminished throughout the decade. One of their last performances together was for Durante's Fiftieth Anniversary in Show Business special, broadcast in full colour on NBC Television on August 9, 1961. Both Jimmy and Roy retired in 1963 with Roy spending most of his time playing golf, a sport also enjoyed by Zez Confrey. Roy died at his home in Vista, California on January 16, 1974. Although Bargy left behind only a few compositions, his contributions to recorded jazz are considerable but hard to measure because he left his imprint in so many places. 4. Eva Taylor, Clarence Williams - Baby Won't You Please Come Home? I just love nostalgia, especially music from the 1920's to the 1960's. I also present a radio show "Gems From The Vaults" on Angel Radio. Please note the mp3's are for evaluation purposes only and are only available for a limited period. Where possible please support the artists and buy their records. Copyright Disclaimer Under Section 107 of the Copyright Act 1976, allowance is made for "fair use" for purposes such as criticism, comment, news reporting, teaching, scholarship, and research. Fair use is a use permitted by copyright statute that might otherwise be infringing. Non-profit, educational or personal use tips the balance in favor of fair use. All information has been collected in good faith and researched from reputable sources. If you would like me to re-post any mp3s of the artists archived, please let me know.